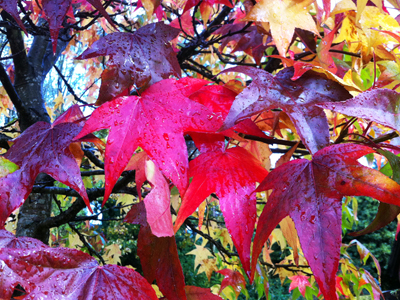 This year the grey November is lit up by three of my favourite plants, all coinciding in time thanks to the mixed-up weather we have these days. 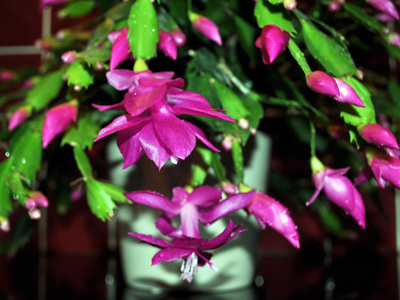 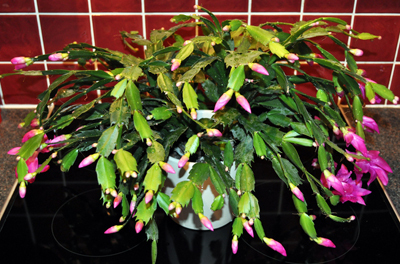 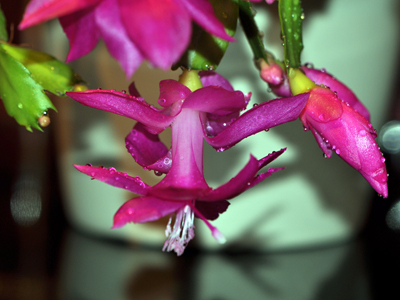 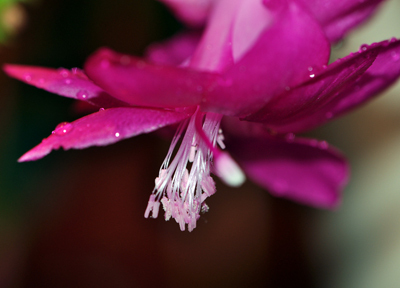 It’s that time of year when garden centres – and even supermarkets – are piled high with Christmas cacti (Schlumbergera russelliana). 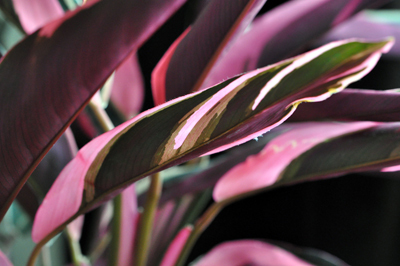 But unlike the more familiar and disappointing poinsettias, these plants can last for many years, not just for a few weeks over the festive season. 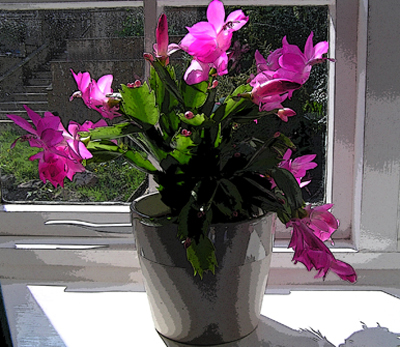 The key to looking after cacti is to think about their natural habitat. 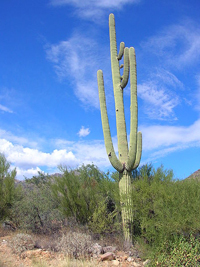 It may come as a surprise to some people, but the plants we call “cacti” come in two very different types – the desert varieties, which are usually prickly and built for storing water, and the epiphytes, which are strappy and prickle-less and grow on trees in the jungle. 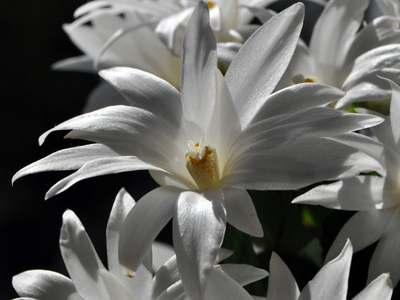 All come from the New World.